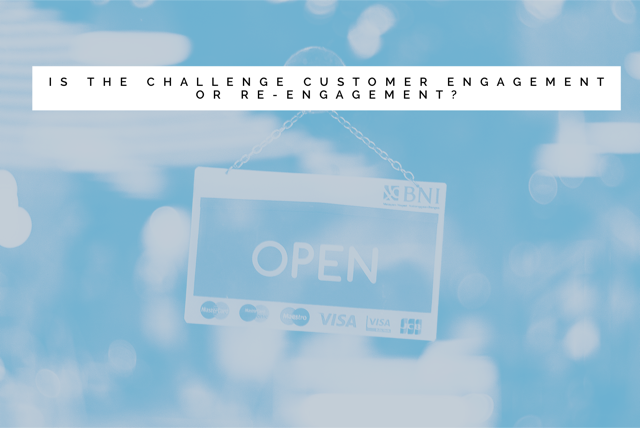 Is the challenge customer engagement or re-engagement? Protection Review CEO Kevin Carr asks whether engagement is really where the challenge lies - or is it re-engagement? Engagement is one of the more common buzzwords in the protection industry of late. “It’s not about education, it’s about engagement”, they say. And I wouldn’t disagree, although improvement in both would be welcome. But is engaging with the public really where the challenge lies? Is it, perhaps, possible that the vast majority of adults in the UK already know they probably need to do something about protecting their finances at some point? It is possible, likely even, that most know about life insurance, and while they won’t know all the details they probably also know there are other products that cover ill health in some form too, which might be of interest. They don’t know what they cost or which one is best – but most know they will probably need to do something at some point. At what point that time arrives will vary between individuals, and it will still largely be driven by all the traditional event-driven reasons we know and love including getting hitched, having some babies, going self-employed etc. Is it perhaps true, therefore, that the public are already, by default, mostly engaged with the protection industry before we’ve actually done anything? I think this could be true – and that what then happens is we then turn them off with a myriad of options, confusion, rules, habits, where to buy, how to buy, questions, paperwork, underwriting, bad press, more questions, a few delays… and what was it I was trying to buy again? We began, without really marketing or spending much, with a largely interested and engaged audience, but the industry we have designed puts many off. So is it actually more about ‘re-engagement’ than engagement? And if so, there’s an important distinction, because turning someone on to something they’ve already been turned off by is different, and a lot harder, than just engaging with them for the first time. It can be done. They pull it off in the investment sector all the time, with new and shiny promises for income and growth in far-flung countries. People that have made a loss can sometimes be even more enthusiastic to re-engage than those who are happy as they look for a way to recoup their investment. Companies that deal in customer-facing investment (as opposed to institutional) are good at simplifying their processes – some might say a little too much – repackaging their product to appeal to the consumer’s changing needs and constantly looking for points of contact. Good investment advice generally says you should invest for 5-7 years, yet many people with investments don’t buy a fund and forget about it as they do with a protection policy, then cancel it because they’ve forgotten why they bought it a few years down the line. In part, this could also be due to constant re-engagement. The Protection market has certainly improved in many areas in trying to reach new customers. I do wonder though if we do enough things well enough, and differently enough, to re-engage with all those people we lost at some point during the process. As I saw somewhere on Twitter the other day: If you feel like giving up, remember why you started. They know why they started and we remind them often. So we need a buying process that doesn’t make people feel like giving up.